When Gina Haspel, director of the CIA, gave her first public speech last fall at the University of Louisville, she mentioned in passing that she had gone to boarding school in England. The formative years of spies can illuminate the trajectory of their otherwise shadowy careers. James Angleton, the legendary chief of counterintelligence from 1954 to 1974, attended Malvern College, an exclusive secondary school in England as young man. He absorbed the class prejudices of the English upper class which blinded him to the fact that his great good friend in British intelligence, Kim Philby, was a Soviet spy. William Colby, CIA director from 1973 to 1975, was Angleton’s nemesis. He grew up as an itinerant Army brat who attended public high school in Vermont. He became one of the agency’s most democratic (small “d”) directors. Colby dragged the agency, kicking and screaming, into the modern era in which it had to submit to congressional oversight. Gina Haspel’s education, it seems, had both exclusive and democratic elements. A friendly source informs me that Haspel attended Lakenheath American High School, located on a U.S. air base northeast of London. Then calling herself Gina Walker, she graduated in 1974. A co-educational school with 430 students today, Lakenheath American is one of 164 accredited institutions run by the Pentagon’s public school system, known as Department of Defense Education Activity (DoDEA). All of the students at Lakenheath are children of U.S. officers, enlisted personnel or support staff. The school is not open to British students. That would be Edward Howard. a CIA who spied for the Soviet Union and fled there in 1985 when he was on the verge of arrest. The school’s 1974 yearbook shows that Haspel joined the drama club, and perhaps she learned didn’t like it. “She’s not somebody who I think relishes the spotlight,” a former deputy director, Avril Haines, said recently. School photographs from the period show a racially mixed student body adorned with the inimitable hairstyles of the 1970s. Frank Kelley, a Lakenheath alumnus in the 1960s, describes the school as “top notch” academically with mandatory study halls and a “great camaraderie” among the students. Alma mater of a spymaster (Credit: Lakenheath American High School Alumni). Haspel was born in Ashland, Kentucky, the daughter of an Air Force enlisted man. She had lived in many places before landing at Lakenheath. Given rapid rotation of U.S. military, Gina Walker may have only attended the school for her senior year. It’s not clear whether she was a day student or a boarder. Did Lakenheath foreshadow her controversial career? Her experience would have been insulated, demanding and militarized. 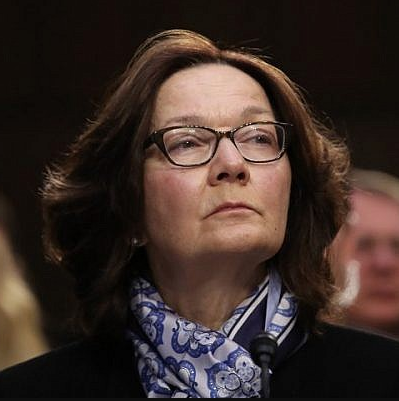 As a counterterrorism officer, Haspel helped capture suspected terrorists and supervised the torture of at least one of them in 2002. When the Justice Department began to investigate, she advocated destruction of the videotaped evidence of the waterboarding sessions. As director, Haspel has not shied from stating agency’s positions at odds with the president’s. She broke with Trump on the assassination of Jamal Khashoggi. She verified Iran’s compliance with the 2015 nuclear deal. 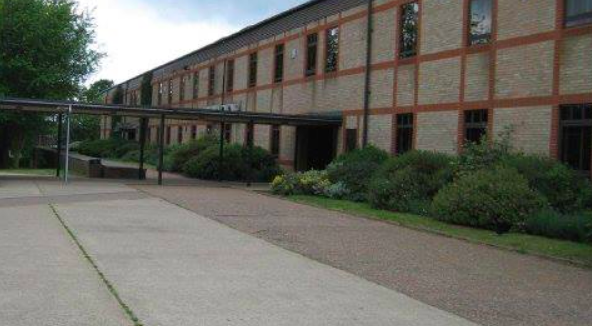 Perhaps Lakenheath was a place where a girl learned she could be as tough as the boys, a place where a young woman learned how to hold her own and make her way in a male-dominated institution. Only Haspel could say for sure. Upon graduation Gina Cheri Walker returned to the United States to attend University of Kentucky and the University of Louisville, where she graduated with honors in 1978. She went to work as a bank teller, tutor, librarian, and paralegal. Along the way, she married and divorced. In January 1985, she applied for a job at the CIA. Later that year Lakenheath alumnus Edward Howard fled to the Soviet Union, the most embarrassing CIA defection ever. Her rise to spymaster had just begun.